The most difficult vintage I've seen in 30 years," was how Olivier Bernard, president of the Union des Grands Crus de Bordeaux (UGCB), described 2013 in Bordeaux, referring to the last time weather conditions were so adverse, in 1984. Red wines suffered most, with dry -- and especially sweet -- whites faring much better. "It was certainly the most difficult harvest since I've been at Château Latour," stated Frédéric Engerer, who has been at the first growth for 20 years, as president for most of that time. Is he happy with the wine? He was the only one of the many producers I asked who was bold enough to say, "Of course not," qualifying, "in absolute standards for Latour." Château Latour has nonetheless managed to produce a classy wine, as have several others who were able to adapt. "Considering the overall conditions that were given to us, it's a pretty good surprise and result after all," said Engerer. In St-Emilion, for example, the more successful properties were those who tempered their use of new oak to match the fragility of the fruit. "We used less new oak for 2013, as well as adapting the size of the barrels, using more large barrels, and only choosing coopers that don't toast," explained David Suire, winemaker at châteaux Larcis Ducasse and Beauséjour Héritiers Duffau-Lagarrosse. Some adjustments were more drastic. At Château Pichon Lalande, it was decided to make the 2013 with 100 percent Cabernet Sauvignon, for the first time discarding Merlot completely. This was a controversial decision, but it largely paid off, with most tasters impressed by the result. The 2013 vintage was a real test of each property's mettle (not to mention skill and quick thinking). The wines have been described as "charming," "pleasant," and "delicate," and the best achieved ripe enough fruit and some weight on the palate, against all the odds. The saving grace is that the very hot summer burned off the pyrazine in the grapes and any unwanted green flavors with it. "I call it 'classicism reinvented,'" said Bruno Borie with a cheeky grin, despite having reeled out the phrase umpteen times during the week of press and trade tastings in Bordeaux. News of dreadful weather conditions during the 2013 growing season -- albeit too soon to write off the wines -- brought hope that this might be the vintage to force a pricing rethink, rekindling the once mutually beneficial arrangement between Bordeaux châteaux and their patrons around the world. Many observers saw the 2013 campaign as make or break for the consumer's reconnection with the en primeur system. "Like the phoenix, we will rise from the ashes," was the somewhat ironic declaration of Nicholas Thienpont, who manages Pavie Macquin among other Right Bank châteaux. The previous two years' campaigns were definitive flops, with too many producers failing to recalibrate prices in line with the quality of the vintages, following the whirlwind successes of 2009 and 2010. The modest 2013 vintage could have been embraced as a timely opportunity to swallow pride and bring prices back down to a pre-boom level -- something understandably less easy for the châteaux to do amid the hype of a top year. Unfortunately, not enough were inspired by this humble motivation. In the words of Oliver Hartley, Corney & Barrow's sales director, "The campaign has been a damp squib overall." It was at least a swift damp squib, with 97 percent of prices out by the end of April. Producers adopted one of three stances. There were those who stuck their heads in the sand, insisting that quality in 2013 was no worse than the year before. 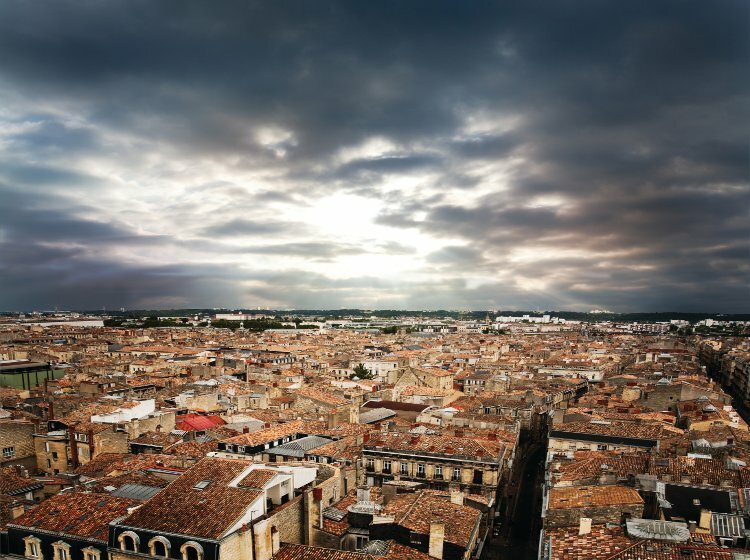 Others accepted the need for something to be done to reboot Bordeaux's image, while simultaneously absolving themselves of any responsibility (low yields, the bottom line, already reduced last year, etc). A small third group were braver in their frankness, managing to break out of the Bordeaux vacuum. "We have an image of being pretentious in Bordeaux, which is not the case," contended Edouard Moueix of Libourne négociant Etablissements Jean-Pierre Moueix. He accepted, however, that "Bordeaux is like a playground" and that an attitude of "The neighbor did this, so I must do that" makes it difficult to convince the châteaux to budge on price. "Yes, production costs have gone up, but even if it's just a signal to say, 'We've heard you,'" said Moueix. Edouard Miailhe of cru bourgeois exceptionnel Château Siran, said, "There's a lot of pressure to lower prices, and I'm very aware of it, and it's a good thing, but it only concerns some crus classés." Moueix sympathized with this view and said, "For an entry-level wine that's come down in price three years in a row, it's difficult to ask them to go even lower." But he insisted prices must come down for the "bigger names. "It doesn't have the same structure as 2012," conceded Thienpont of the 2013 vintage in general. While he admits to expecting price reductions this year, he adds, "It's true the low quantities this year scare me. When you look at the company accounts, you don't want to make too many losses." Pierre Lurton, managing director of châteaux Cheval Blanc and d'Yquem, agreed that "the 2013 is a lesser vintage in general than the 2012, so the prices have to be lower," characteristically drawing on a sailing metaphor to convey the idea of cutting ones losses: Il faut donner du lest ("We must throw ballast overboard"). "We need to make a gesture," he added. The words "signal," "gesture," and "symbol" were repeated over and over again, and I couldn't help feeling that they slightly missed the point. A hollow token was not going to do the trick. Bordeaux needed to make real waves to prove to the world that it truly had understood. The average decrease on 2012 based on a wide selection of release prices to April 30 was 7 percent (see p.24) -- and analysis by courtiers Tastet & Lawton on a larger pool of wines has it even lower, at 4.5 percent. When asked if producers had, on the whole, reduced their prices significantly, the answer from négociants and importers alike was a resounding no. To some extent, this can be put down to the fact that certain châteaux had already made significant concessions for their 2012 vintage. For example, first growths Haut-Brion, Margaux, and Mouton all reduced the 2013 by 10 percent, having already dropped prices by 33 percent last year. This makes them cheaper -- all at around €215 per bottle ex-négoce -- than the market price of any physically available back vintage at the time of release (Haut-Brion by a mere whisker, with its 2013 just 2 percent cheaper than the 2006). A Bordeaux Index email cited Lafite's release as "a return to the good old days of en primeur -- where the customer is actually getting a good deal." Rauzan-Ségla and Canon deserve a special mention for shaving off another 10 percent, having come down by 37 percent and 42 percent respectively in 2012. Both wines in 2013 are cheaper than their 2008 release price -- rare indeed, given that the average increase for the 2013s on 2008 is 27.4 percent -- and good value at a friendly €33 ex-négoce. This is despite John Kolasa, managing director of both properties, telling me just a few weeks earlier, "If I have to come down symbolically, I'll do so by €2 or so. I can't come down any more after last year." Kolasa was happy to admit 2012 is a better wine. "Sanity Prevails" was Farr Vintner's headline for the email selling Rauzan-Ségla. The UK merchant went as far as to say on April 11 that apart from this wine and Lynch-Bages, "there has not been a red wine released that we can honestly recommend that our customers should buy." Merchants this year have been admirably restrained in their offers. Lea & Sandeman in particular adopted a very British apologetic approach of advising its customers against the wines before listing them for sale later in the email. Hartley also cited Lynch-Bages as an example of one of the few wines that was priced to sell. "People have looked at the price and said, 'It seems to be the cheapest on the market at the moment, so actually, yes, that makes sense,'" said Hartley. On the contrary, Corney & Barrow had not (at the time of writing, in early May 2014) sold a single bottle of Angélus or Pavie, which reduced prices by 8 percent this year. They were almost the only two properties to increase in 2012, when they were promoted to premiers grands crus classés A and were trying to catch up with Ausone and Cheval Blanc, which are still out in front at almost twice the price, despite having to share their top spot in the classification. Lurton released the 2013 Cheval Blanc 12 percent below the 2012, equating to €300 ex-négociant, the most expensive bottle price of any wine released at the time of writing, including all the first growths (see p.24). This gesture was widely regarded as insufficient, given that at least six back vintages are available in bottle at lower prices. The Lea & Sandeman blog mused, "One does wonder who might feel the need to buy this immediately." Not a single property was conceited enough to increase its price on 2012 (at least not at the time of going to print). A handful of producers, however, failed to make any goodwill gesture whatsoever, releasing at the same level as last year. Vieux Château Certan retained last year's price of €90 per bottle ex-négoce. "There's little wine, and it's cost us a lot," said winemaker Guillaume Thienpont, adding, "We're a commercial enterprise." Other examples include L'Evangile (which also refused to budge last year so has now been released at €100 per bottle for three years running) and Figeac (which had at least knocked a third off its price the previous year). Nonetheless, Figeac 2012 has lost around 8 percent since its release, and L'Evangile 13 percent, so maintaining their prices this year seems inexplicable. The problem, says Moueix, of Bordeaux producers in general, is that "everywhere they go, people tell them how great they are, and when we pass on the message [that prices need to come down], they don't believe what we're saying." The most famous example of sticking to last year's guns is Pontet-Canet. This wine in 2012 also dropped 13 percent of its value, making owner Alfred Tesseron's decision to release at last year's price of €60 ex-négoce all the more gutsy (or inappropriate?). Not to mention the timing (before the press and merchants had the opportunity to taste the wine), which started the campaign with a splash and caused ripples well beyond Bordeaux. Moueix said, "Alfred Tesseron didn't think about his neighbors; he did it mainly for himself," adding evenhandedly, "As much as I understand what Tesseron did, I don't necessarily agree with that." Lurton was more forthright, saying, "For others to follow suit would be idiotic, because after all, you have to sell the wine." Lurton recommends producers should be aiming to sell at least 80 percent of stock this year. Other fellow producers were more sympathetic to Pontet-Canet's cause -- for example, Haut-Brion's Prince Robert of Luxembourg: "I've heard Tesseron has already sold 80 percent of his crop in three days," he stated. "It's his choice, and I wouldn't expect lessons from him in return." Thienpont asserted that "Pontet-Canet lives on its reputation, and lots of people have bought it because it's a strong brand," though he seemed to lament that not everyone in Bordeaux could be so lucky. Melanie Tesseron (Alfred's niece) assured me that Pontet-Canet had indeed "sold 100 percent of production to all the usual suspects," adding, "No one rejected the offer," and concluding, "Within the first day, we were pretty much done." "They may have sold out," says Hartley, referring to châteaux who claim to have shifted all their stock while maintaining last year's price, but "what is absolutely not happening is it selling through to UK merchants." He concluded, "It's naive, because the stock will stay in the market." Corney & Barrow had sold a sum total of 30 bottles of Pontet-Canet to its customers more than a month after the wine was released on March 26 "to people who want to retain a vertical collection," explained Hartley. Melanie Tesseron defended the château's decision to release unprecedentedly early, saying it "was a bit of a reaction to the articles that were very damning about a vintage that no one had come to taste yet." Many other Bordeaux producers felt similarly exasperated. Anne Le Naour, technical director at Grand-Puy-Ducasse, said, "Even before we picked the grapes, you could read so many things saying it would be a very bad vintage." Nicholas Thienpont agreed, referring to a "handicap" prior to the press and trade tasting the wines, but was hopeful that would change, asking, "Will it be different after this week?" The Tesserons didn't wait to find out. "It was, in a way, incomprehensible that they could talk about a vintage before they'd even tasted it, because we've really moved on in terms of knowledge and attention to detail," said Melanie of the press. In other words, Pontet-Canet's premature release, before the press had a chance to taste the wine, was a feisty way to give them a taste of their own medicine. So, were the proclamations of a terrible 2013 unjustified? Most reports I read focused on the poor weather conditions, citing factual comparisons with previous years. For example, bud burst began two weeks later than the previous year due to cold weather; the period from January to May was wetter than the previous five years, even 2008; it was the coldest May since 1984; et cetera. The natural conclusion drawn was that 2013 would subsequently be a poor vintage, and this doesn't seem an altogether unfair assumption. As recently as early February, Alexandre Thienpont of Vieux Château Certan wasn't even sure they would make a first wine. "We waited until the second soutirage before deciding," he confessed (and a good decision it turned out to be; the Merlotheavy wine is more than respectable). Perhaps the media's readiness to disparage an untasted vintage was fueled by a desire to bring Bordeaux back down to earth, by the sense of hope and opportunity a poor vintage seemed to present. And after all, it wasn't just idle talk. A paper on the 2013 vintage by Dr Laurence Geny and Professor Denis Dubourdieu of Bordeaux University stated that it "did not conform to any of the five essential factors for a fine red-wine vintage." After recounting the year's weather patterns in detail, the paper went on to declare that the grapes were picked "objectively, ten days earlier than they should have been considering veraison dates." Vineyard managers had no choice: "Entire plots of Cabernet rotted from one day to the next without any warning," recalled the enologists, observing that, "from beginning to end, and with very few exceptions, the choice of when to pick in 2013 was dictated by the risk of gray rot." "If we could have, we would have waited a few days more, but what would we have gained?" asked Dominique Arangoits, technical director at Cos d'Estournel. "That's the real question," he says. 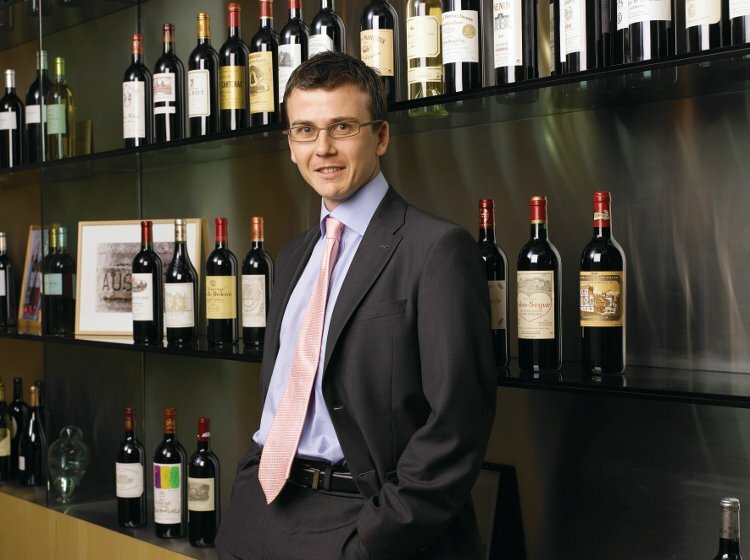 "Not much," seems to be the response of Paul Pontallier, managing director at Château Margaux. "It has made us rethink maturity," Pontallier claims. "We were obliged to harvest four to five days sooner than we thought the ideal maturity would be, and we still made a full, ripe wine." So won over was Pontallier by the results that he plans to "experiment with picking a bit earlier to test what it gives in a great vintage." Engerer was less sanguine. "It was the first time we couldn't choose when to pick," he lamented. "The joy is having a strategy" -- and he was frustrated by not being able to stick to one. Botrytis meant that the team at Latour "had to pick a good week before 'ideal picking conditions,'" recounted Engerer. Perhaps he can afford this level of candor, given that the wines do not need to be sold en primeur. (Latour withdrew from the system from the 2012 vintage onward.) This means he sees the bright side of a string of less ageworthy vintages: "We won't have to wait so long to release '12 and '13 as we would have had to do for '09 and '10, to be true to our word of only releasing wines when they're ready to drink." It should be noted here that there were a few exceptions to the unforgiving weather in 2013. St-Estèphe, for example, was drier than elsewhere. More notably, Sauternes and Barsac were spared the storms at the end of July and went on to produce some wonderful wines. "We had the benefit of actually wanting botrytis," noted Aline Baly, Château Coutet's owner and director of marketing. 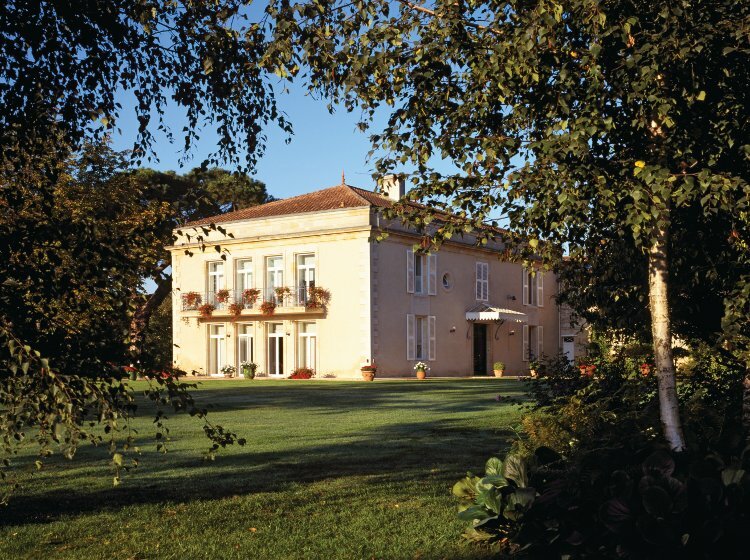 Despite Sauternes outperforming the vintage as a whole, Coutet was released at the eminently reasonable price of €24 per bottle, 20 percent below its 2008 release price. Producers wielded two standard lines of defense for 2013. The first was low yields, a well-worn sales tactic employed not just in Bordeaux and not just in 2013. Admittedly yields were very low (for example, 20 percent of usual production at Vieux Château Certan and Pichon Lalande) -- in fact, the lowest since 1991. The consumer, however, doesn't -- and shouldn't -- care. If there is available stock from 2007, 2008, 2011, or 2012 at the same or a lower price, the consumer is not going to pay more for 2013 out of pity for Bordeaux producers who made vast profits in 2009 and 2010. The second oft-heard spiel was that processes and equipment have improved so much in recent years and decades that a brilliant (or good, or decent, or satisfactory) wine was made in 2013 against all odds. Again, I don't question the veracity of these claims. The 2013 vintage has undoubtedly produced far better wines than 1984 -- the last vintage to suffer such difficult weather conditions -- thanks to more resources, investment, knowledge, and technology, and therefore superior viticultural practices, selection, and winemaking. As Pontallier puts it, "The 21st century allows things we wouldn't have thought possible 30 years ago, but the different possibilities of the 21st century also equate to differences in what is demanded. We can't make mediocre wine any more." In other words, this is not a one-off phenomenon for 2013. Quality control is constantly improving, and each vintage brings with it new feats that wouldn't have been possible before. In the wider context of ever-improving wines, there still remains some relativity between recent vintages in terms of their quality, and they should be priced accordingly. The other way of looking at the en primeur system is to accept that it is not always appropriate and to make use of it on a case-by-case basis. This is the approach Château d'Yquem has taken, deciding in 2011, for example, that selling the wine en primeur alongside less successful red wines would not serve the château's best interests. I would wager the same decision will be taken for 2013. Equally, en primeur should also work in the best interests of buyers, who should be rewarded for their premature purchase, and the risk they have therefore taken, by a discount to the in-bottle price. In 2013, a vintage that won't elicit huge demand and is not one for decades of laying down and therefore speculation, it is hard to see why consumers should get in early. "It's not a speculative vintage," declared Lurton -- a view echoed in the UGCB's official communications. A release dated March 7 stated, "The fine wines of the 2013 vintage, which Bordeaux can be proud of, will probably not be subject to speculation." The vast majority of wines will still be available in five years, when they are approaching their drinking windows, and are unlikely to have risen much, if at all, in price. In the view of French wine critic Michel Bettane, "There are 30 to 40 wines that can sell en primeur this year, and the rest should be sold in bottle." Bernard unwittingly second-guessed the failure of the 2013 campaign when he said at the start of April, "I have no doubt it will sell in the next few years, even if not all en primeur." The négociant system, however, means that producers will have managed to shift large proportions of their wine en primeur, to négociants wishing to maintain their allocations and stay in the châteaux's pockets for what they hope will be a more successful vintage next time. Indeed, according to Tastet & Lawton, in 2013, 62.3 percent of crus classés sold 100 percent of their stock. Melanie Tesseron is, unsurprisingly, a fan: "We know with our négociants that they're confident in our brand, and we're confident in the négociant system, which is a fantastic system. It enables us to concentrate on our wine." Whether the négociants then hold that liability or manage to shift it to importers is another question. "If you look at Domaine de Chevalier, the market will tell you it's super-clean," insists Bernard, the château's owner, as well as UGCB president. "There's no '11 or '12 left, and there won't be any '13 left," he affirms, though he accepts that "there are some brands that have exaggerated." Hartley is less confident. "The négociants are, I suspect, going to be taking a bloody nose on this," he says. "I feel quite sorry for them. We've been saying for a while that the négociant system is out of date and lacking in relevance." The end of the négociant system as we know it? To declare that would be histrionic, but certainly the allure of en primeur is fading. Something needs to give, so that the balance of power vis-à-vis the châteaux is a little more in the négociants' favor. "It's true to say that the Bordeaux négociants feel more obliged to take the stock than UK merchants," concedes Mathieu Chadronnier, MD of CVBG, who for 2011 and 2012 did see a reason to take most of his allocations "because of the quality of the vintages," as well as the market being short of drinking wines. Not so in 2013, with plenty of stock left in the market from the two previous years. "We are taking a much more cautious approach in terms of how much stock we're willing to take," insists Chadronnier, saying, "If that translates to lower allocations next year, fair enough." He also points out that "our allocation is only lost when somebody else picks it up," which, after all, is unlikely this year. En primeur is rapidly fizzling out, and the producer/négociant relationship might be starting to shift. Perhaps if it does so quickly enough, Bordeaux can embrace evolution rather than falling back on mythological resurrection. The phoenix has life in it yet.